NVL Distans and the Dldact project offers you the chance to update your skills on digital democracy. “The internet has changed everything: the way we share and consume culture, how we engage in commerce, and how we communicate with others. But the internet has failed to change in one key area of our lives: politics. 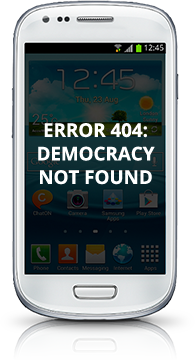 Democracy is in great need of a serious upgrade."